I am most grateful for my work experiences that were apprenticeships. Whether it was Philip who taught me how to write a proper Java function (10 lines or less), or Kim and Scott who are great managers, or the partners at Redpoint who invested a huge amount of time to educate me, those collections of experiences have taught me far more than I could’ve expected. Worklife is nuanced. Reading a blog article here or in HBR article there, a business book or an academic paper only goes so far because these summaries of knowledge lack one key ingredient. Judgment. Watching someone else exercise their judgment, explain and rationalize their decisions, and then draw your own conclusions and inferences from the same sets of data, with similar emotions and stresses. That experience is the invaluable part of being an apprentice. This is the incommunicable part of knowledge. As startups grow, their founding teams will inevitably face questions of judgment. Many times, the questions that arise will be entirely novel. It could be as simple as how do I interview my first head of product? What questions do you ask? How do you determine if someone is a good cultural fit? How you understand if someone shares the work ethic and values? The technical questions of whether someone can write an SQL query or develop an ideal customer profile are self-evident. But these other questions require judgment to assess. 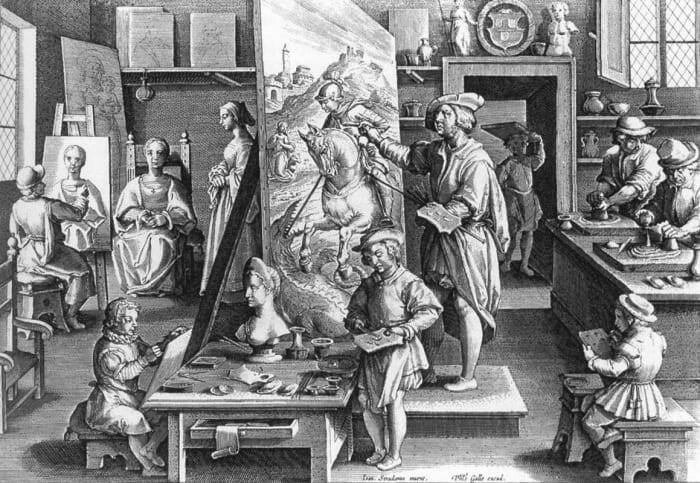 When I say the word apprenticeship, I suspect I conjure an image of a young Raphael working for years at the behest of Perugino, a master, in some tight room of an Umbrian guild. But apprenticeship isn’t nearly as formal or as lengthy in Silicon Valley as the Renaissance. In fact, we’ve formalized many of these types of knowledge transfer in the form of formal advisors, angel investors, management coaches, mentors, and board members. Sometimes apprenticeship can be as simple as asking a senior executive to interview a few VP level candidates on your behalf and observing, learning from the process, and starting the process of developing judgement. Figuring out how to become an apprentice time and again is a key to developing great judgement. And even better if you’re willing to invest the time to take on an apprentic.